Most family historians have a companion interest in world history. eckert 4 projection, central meridian 10 ° east, Wikimedia. And our interest starts with ourselves. We are intrigued by the outside events that have shaped our own lives. A natural extension of our desire to know what historical events have impacted our lives is to also know what happenings affected the lives of our ancestors. Creating family trees with dates and locations for our forebears is necessary as a first step in organizing our family history. But if we stop there, we will have only a list of facts. In order to understand our ancestors’ lives, we need to find out what was happening around them – locally, regionally, nationally and internationally. We want to uncover what was influencing their daily lives: their decisions to move, to leave the farm, to go to another state or country. In my post of Sept 16, 2012, I touched upon the need to put flesh on the bones of our ancestors by finding out how they lived and what the world was like during their lifetimes. Let’s see what professionals in the field have to say on this subject. 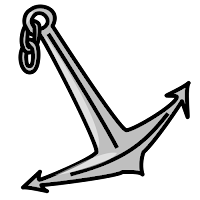 Anchor.svg, Open Clip Art Library, Wikimedia. Where can we go to gain this understanding? Be sure to check sources such as archives, libraries, historical societies, and local genealogical societies. Many of these institutions have excellent web sites with on-line catalogs, so that you can find out what materials are available. Also search books.google.com and scholar.google.com in addition to regular google.com as you hunt for information about the times in which your ancestors lived. Search for experts in the time period that you are interested in. Read their books. And very often, if you contact them, they will give you suggestions and lead you to additional sources. Now let us look at some on-line sources that can help us find the historical context of our ancestors’ lives. 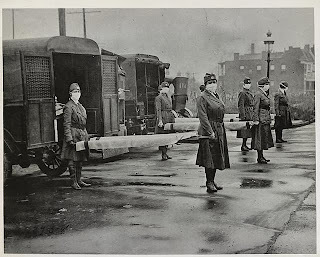 An about.com piece (no author name given), Historical Research – Researching the DailyLives of Your Ancestors, provides many suggestions and on-line links where you can find information on disasters, epidemics, clothing styles, and much more. 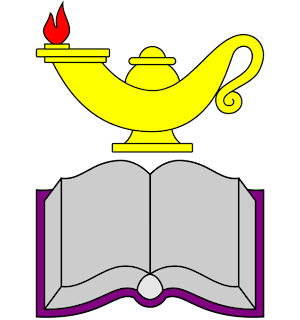 Utilisé pour le site du Crieur-public.org, Wikimedia. One type of historical web search site is based on what happened in the world on any given month and day, such as the Scopes Systems site. Another type, including the dMarie site, let’s you enter day, month and year and then gives you a lengthy report on historical happenings. I have listed just two sites, but you can find many more on Google. A genealogy blog by FamilyTree.com spotlights some of the kinds of historical events that can influence our ancestors’ lives, such as wars, inventions, legislation, and mineral discoveries. and the polio epidemics in America and Europe in the 1930s and 1940s , and I know that these events likely touched the lives of many of our ancestors. But there are many more plagues that have happened throughout the world over time that can be investigated. For a list see the website “List of Epidemics”. 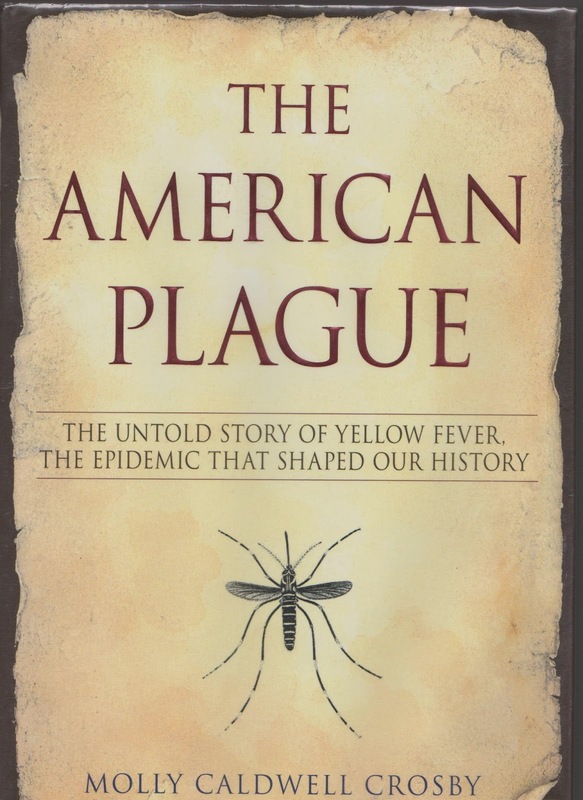 reveals the horrific history of Yellow Fever which struck America so often that it earned the name The American Plague, also the title of the book. I want to use this epidemic as an example of how an event like this can change people’s lives. 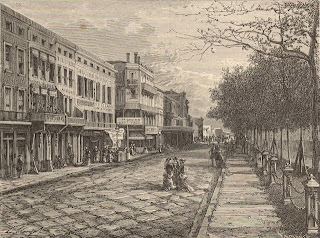 New Orleans, in the 1870s, Wikimedia. a fact that is corroborated by his filing of an application for naturalization on Oct 10, 1878. To see this document, please check my post of July 23, 2012. This was John’s second time in New Orleans as he had landed there in 1866 when he emigrated from Switzerland. Between 1866 and 1878 John had been first farming in LaSalle County, IL and then living in St. Louis, MO. I can time his arrival in New Orleans by the birth of his second son, George Kreis, in June of 1876. Because of Crosby’s research on the Yellow Fever epidemic of 1878, I now assume must have been a contributing factor to John Kreis’ leaving New Orleans once again. 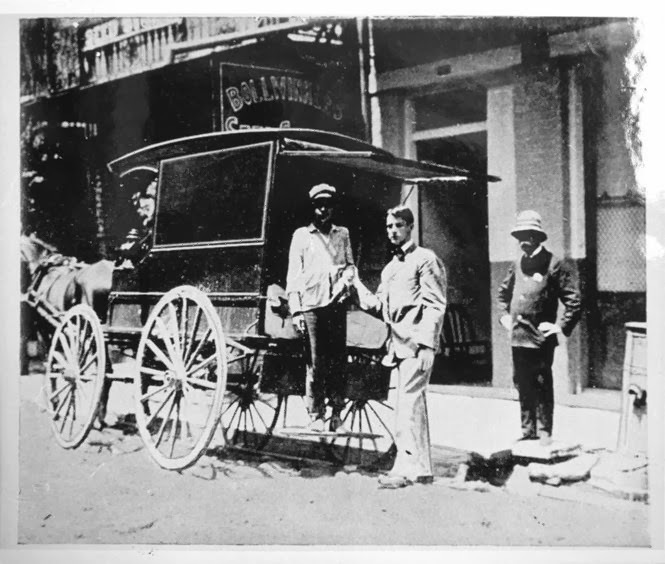 during outbreak of Yellow Fever, the last to strike the city, Wikimedia. I don’t know exactly when John Kreis and his family left New Orleans; I only know that he showed up in the 1880 Ottawa, LaSalle, Illinois US Census. So far, we have discussed why it is important to learn about the historical events that affected the lives of our ancestors. But how can we record what we find so that we might better be able to analyze, understand, and explain our findings? 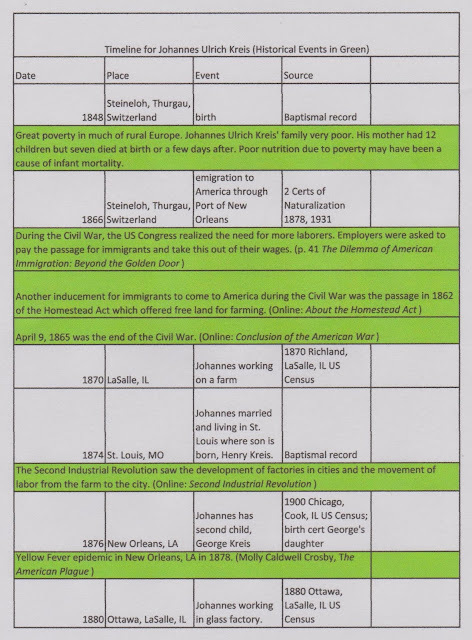 Lynn Palermo, The Armchair Genealogist, presents an interesting framework based on categories for setting up a basic timeline in Word or Excel in Four Steps to a Family Timeline. One of my favorite articles about timelines is one written by Diane L. Richard for archives.com, Timelines as Genealogical Research Tools. 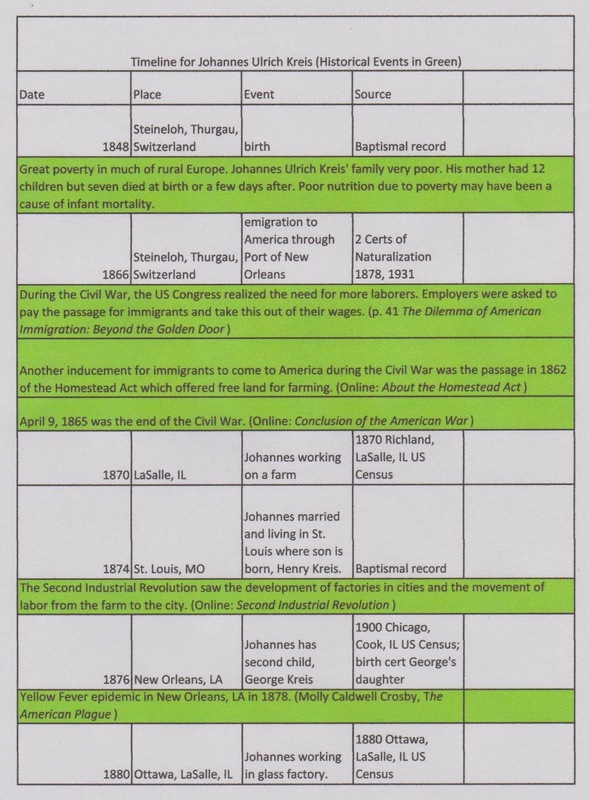 I like how Ms. Richard uses Excel to build a tabular timeline model and how she integrates personal and historical events in an ancestor’s life. I first filled in the personal details, with dates, of John Kreis’ life: birth, leaving Switzerland to go to America, landing in America, working as a farm laborer, getting married and having children, moving from Illinois to Missouri to Louisiana and back to Illinois. Then I began researching to find historical events that may have shaped some of John’s decisions. These I highlighted in green. John worked as a laborer on a farm in LaSalle County, Illinois when he first arrived in America. But by the early 1870s he had married, had children and moved first to St. Louis and then to New Orleans. All of these places are close to that great water highway, the Mississippi River. 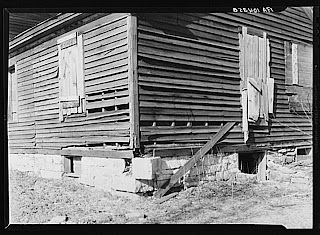 Lee Russell, 1937, Detail of an abandoned farmhouse. The Second Industrial Revolution explains the movement from farm to city that John and many other Americans followed in the late 1800s through the twentieth century. 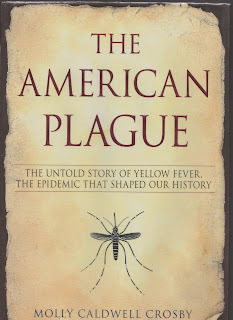 Finally, I came upon Molly Caldwell Crosby’s book on Yellow Fever quite by accident. I was reading another book she had written and saw a reference to The American Plague on the book jacket. This book proved to hold the explanation of John’s move from New Orleans. And it gives me chills to think that he and his family lived through the great 1878 Yellow Fever Epidemic that killed so many. In conclusion, genealogy is so much more than lists of names and dates. When you add historical background to your ancestral stories, you learn so much more about the lives of your forebears. Once you have researched and gathered your historical events, you can organize them with a timeline, and you never know what will jump out at you. Kimberly Powell, The Everything Family Tree Book. Avon, Massachusetts: Adams Media, 2006. Molly Caldwell Crosby, The American Plague. New York: The Berkeley Publishing Group, 2006. New York. Kimberly Powell, Timelines and Your Ancestors. Online <http://genealogy.about.com/od/timelines/a/timeline.htm> Material downloaded November 2013. Cafferty, Pastora San Juan, Barry R. Chiswick and Andrew M. Greeley. The Dilemma of American Immigration: Beyond the Golden Door. New Brunswick, New Jersey: Transaction Publishers, 1983. Material downloaded November 2013. Washington. 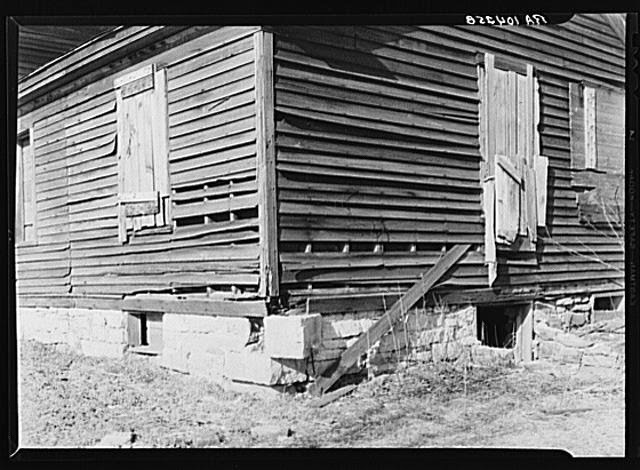 National Park Service, US Department of the Interior, About the Homestead Act. Online < http://www.nps.gov/home/historyculture/abouthomesteadactlaw.htm>. Material downloaded November 2013. Florida. Wikimedia Foundation. Conclusion of the American War, Online < http://en.wikipedia.org/wiki/Conclusion_of_the_American_Civil_War>. Material downloaded November 2013. Florida. 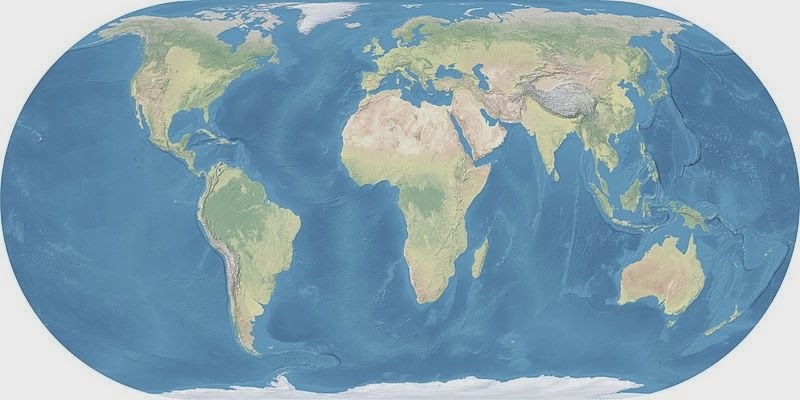 Wikimedia Foundation. Second Industrial Revolution, Online <http://en.wikipedia.org/wiki/Second_Industrial_Revolution>. Material downloaded November 2013. Utah. FamilySearch.org. Online <http://familysearch.org/learn/wiki/en/Illinois_Land_and_Property> Material downloaded November 2013.